Credit: D. Kiselman, et al. (Inst. for Solar Physics), Royal Swedish Academy of Sciences. 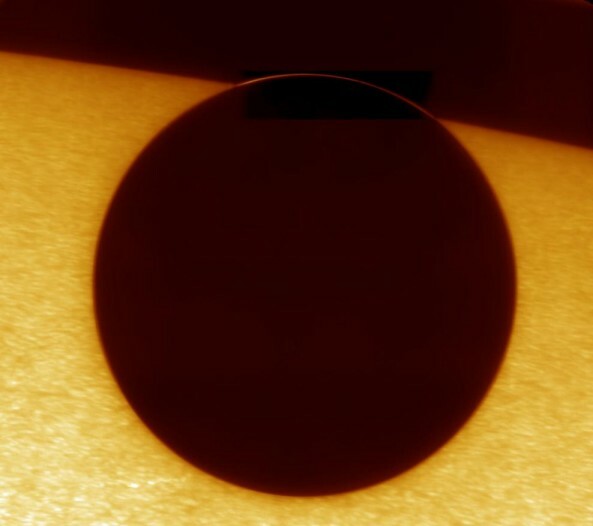 Explanation: With Venus in transit at the Sun's edge on June 8th, astronomers captured this tantalizing close-up view of the bright solar surface and partially silhouetted disk. Enhanced in the sharp picture, a delicate arc of sunlight refracted through the Venusian atmosphere is also visible outlining the planet's edge against the blackness of space. 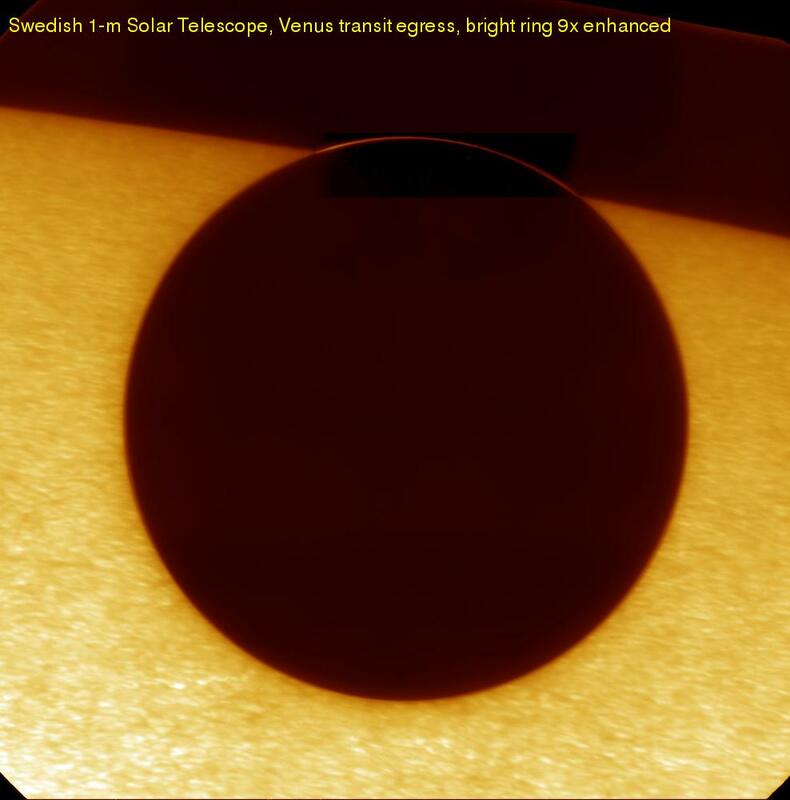 The arc is part of a luminous ring or atmospheric aureole, first noted and offered as evidence that Venus did posses an atmosphere following observations of the planet's 1761 transit. The image was recorded using the 1-meter Swedish Solar Telescope located on La Palma in the Canary Islands. For the Institute for Solar Physics, Dan Kiselman, Goran Scharmer, Kai Langhans, and Peter Dettori were at the telescope, while Mats Lofdahl produced the final image. Excellent movies of the transit - including one of the emergence of Venus' atmospheric aureole - are available from the Dutch Open Telescope, also observing from La Palma.